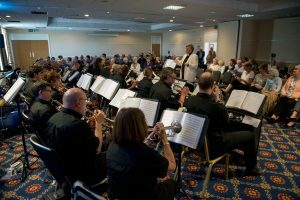 Back for the Third Year on Sunday May 15th at Cranage with our Thanks for the Memory Big Band Concert we had another superb afternoon of Big Band music and songs from the 1920’s through to 2010’s! Hosted by the Cranage Hall Hotel and Conference Centre and featuring the superb Dave Egerton Band. With music from Glenn Miller to the Beach Boys; Fred Astaire to Vera Lynn to Van Morrison; Frank Sinatra to Smokey Robinson, and Stevie Wonder, and even Amy Winehouse! Also starring Cockney Carol and the Ageless Ukes – ukulele orchestra. 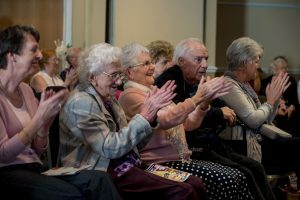 The concert raised over £900 to help those with Dementia via Alzheimer’s Society and also to buy a music centre for Congleton Museum to support their work around Dementia. Based in Winsford, Thanks for the Memory was established in January 2014 to use the power of music to help those with dementia bring back memories of times past. 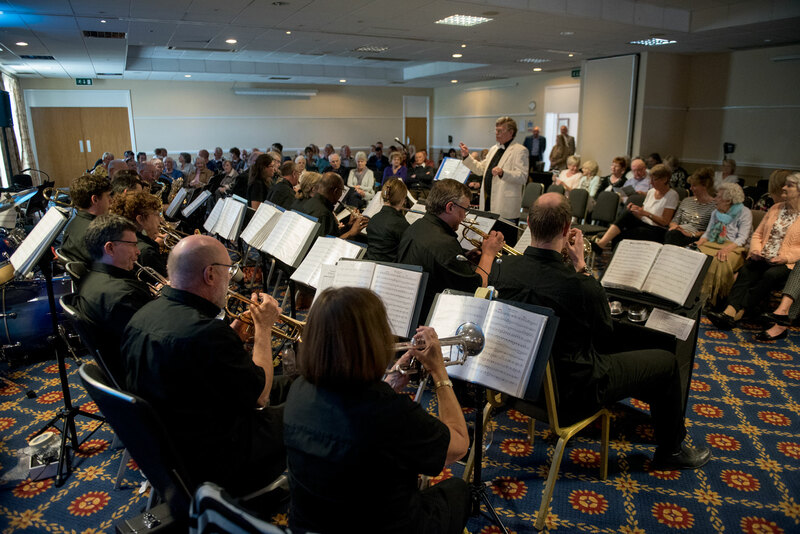 Over the past three years they have now put on 8 concerts; raised over £4,000 and also bought music centres for Nantwich Museum Dementia Friendship Group, and the Dingle in Winsford. We have also supported artists visiting these groups. Also half of all the proceeds have gone to the Alzheimer’s Society. We have also been very lucky to receive ongoing support from Dame Vera Lynn and Jan Eberle, the daughter of Ray Eberle who was the lead male vocalist with Glenn Mill er. 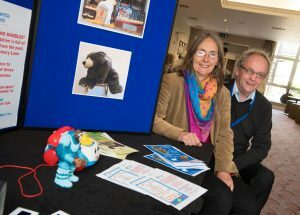 We look forward to being back again next year!